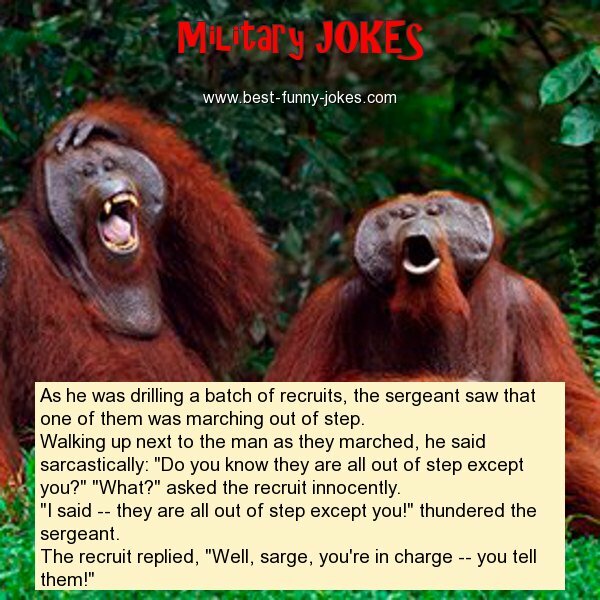 As he was drilling a batch of recruits, the sergeant saw that one of them was marching out of step. Walking up next to the man as they marched, he said sarcastically: "Do you know they are all out of step except you?" "What?" asked the recruit innocently.